AAC Animals Fish Otter gild silver colour color 3 Agrell woodcarving_0. 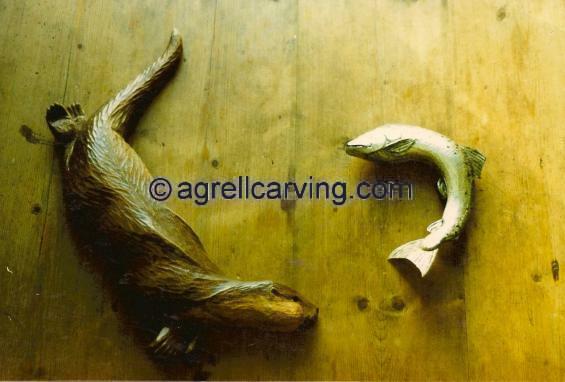 Description: Carved wood fish (with silver gild finish) and otter. By Agrell Architectural carving. Read more about Fish and otter.